The State of Georgia recently passed the “Illegal Immigration Reform and Enforcement Act of 2011”. This law requires most Georgia employers to utilize the U.S. Department of Homeland Security’s E-verify program to ensure that an employee is authorized to work in the United States. The law’s implementation date is staggered based on an employers’ total number of employees – 01/01/12 for any business with 500 or more employees; 07/01/12 for any business with 100 or more employees; 07/01/13 for any business with 10 or more employees. 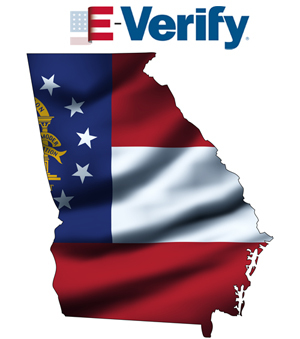 July is also an important date for employers in the State of North Carolina that require businesses with 25 or more employees to perform E-Verify on newly hired employees. Check out the North Carolina article here. The federal E-verify program requires employers to verify the information provided by newly hired employees during the I-9 process against information contained in federal databases maintained by the Department of Homeland Security and the Social Security Administration. Justifacts recommends that you consult with your legal department to determine what changes, if any, need to be made to your hiring process in order to comply with this law. For your information, Justifacts is a recognized “Designated Agent” for the E-verify program and can easily integrate this process into your current background screening process. Contact your Justifacts Sales Manager for more information on participating in the E-verify program. It is important to note that Justifacts is providing this information as a service to our clients. None of the information contained herein should be construed as legal advice, nor is Justifacts engaged to provide legal advice. We go to great lengths to make sure our information is accurate and useful. We recommend you consult your attorney or legal department if you want assurance that our information, and your interpretation of it, is appropriate to your particular situation.